The forecast for tonight and the following four nights calls for rain and clouds. After a dry summer and a drier autumn, what caused the sudden switch to wet weather? Why did we go straight from drought to downpour? I'll tell you why. 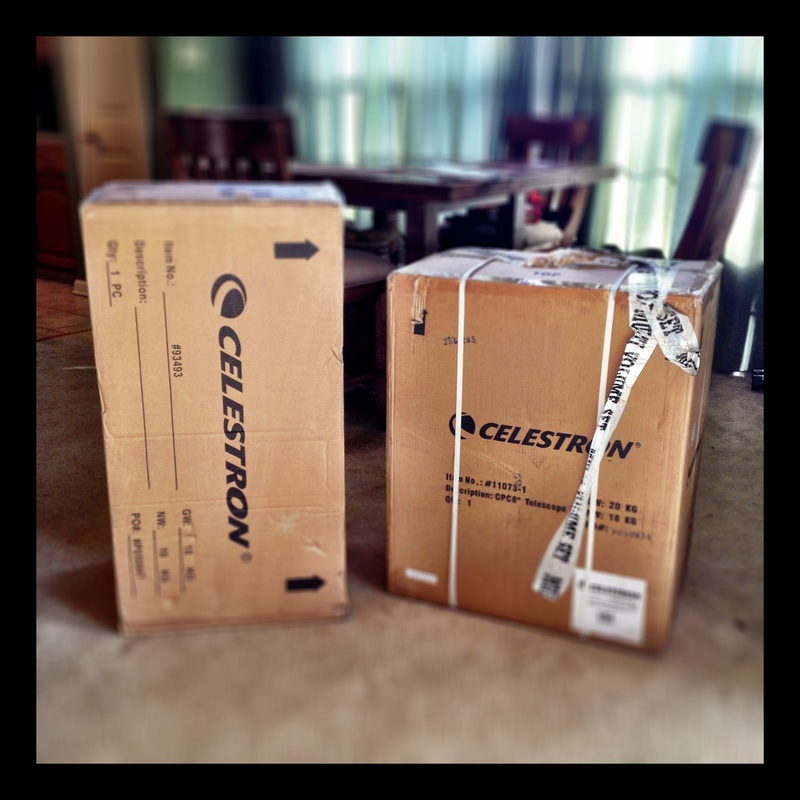 I bought a telescope. According to the interwebs, the purchase of any new astronomy gear, especially a new telescope, will bring clouds and rain to your area. If you are a paddler, you're welcome. 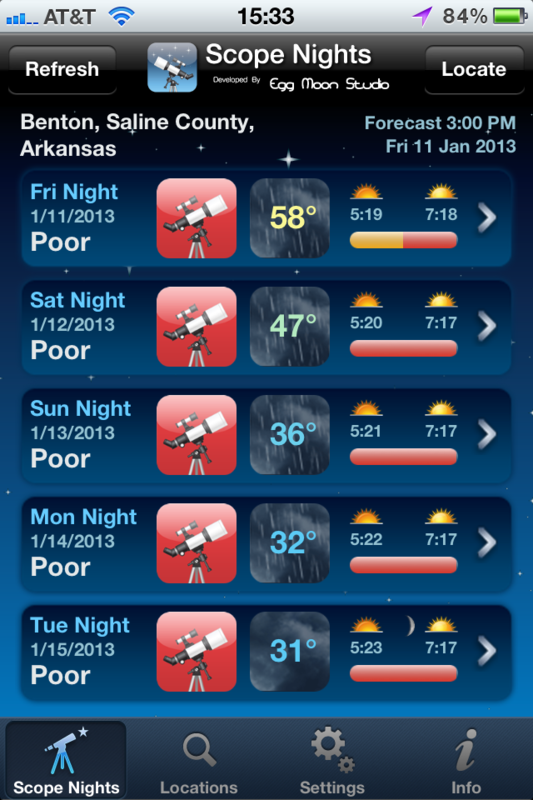 If you're a backyard astronomer, well, we're in this together now. The scope arrived and went together without a hitch. All the parts appear to be here and everything seems to be in working order. 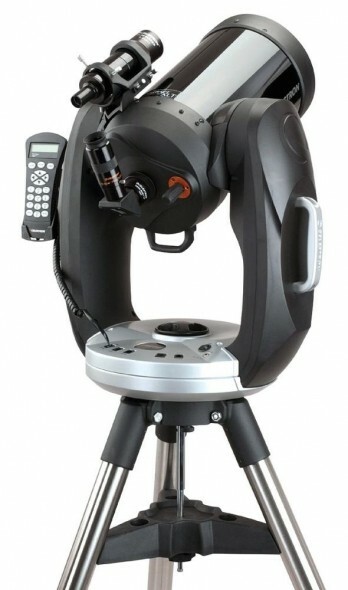 The telescope is made by Celestron and is a Schmidt-Cassegrain (catadioptric) design with an aperture of eight inches and a focal length of 80 inches. That weird word catadioptric means that the light path is folded by mirrors and lenses as it passes through the telescope. So instead of having a telescope that's over 6.5 feet long, it's less than 1.5 feet long. I've comes close to buying a telescope twice before. The first time was the summer I spent a few weeks in Richmond, VA (2002). I did my research and figured out what I wanted but decided against it since graduation was coming soon. So instead I bought a good book and read it cover to cover. 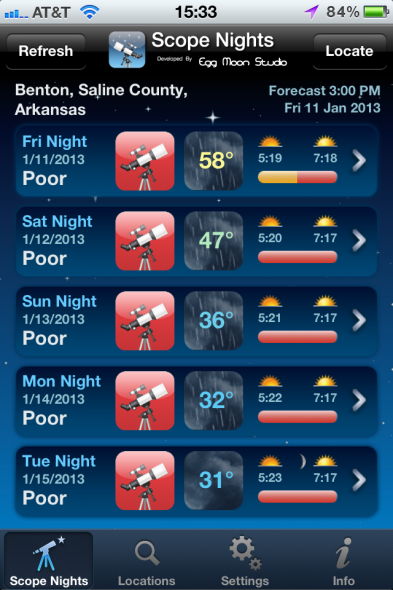 The next time I got the urge was in 2010 when we went to a star party at Pinnacle Mountain State Park. The party was put on by the members of the Central Arkansas Astronomical Society (CAAS) and took place near the Visitors Center. I got my first look through a telescope that night and was amazed to see the rings of Saturn. It really does look like all the photos and drawings you've seen! And it's triple cool because the light from it is beaming straight into your head. Third time's the charm, right? I got the urge again several months ago. I want to know more about the night sky*. Aly used to have a telescope when she was a kid. Mandy is interested in everything. We were enjoying meteor showers together and our friend Mitch had an unfulfilled interest along with two neglected small scopes. So the time was right; we did our research, we joined CAAS, and we found a few possible mentors. All we need now is clear skies. *daytime too... Aly insists on solar viewing once we get a proper filter.